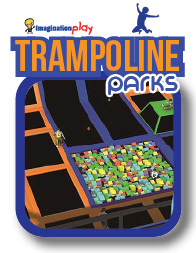 The best source and largest range of soft play indoor playgrounds in Australia! 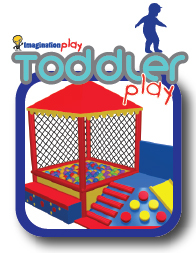 Total project managing services from concept & design to final installations, we are your one stop indoor play equipment specialists! Indoor Playground Equipment services all capital cities such as Melbourne, Sydney, Brisbane, Cairns, Adelaide, Perth, Darwin and Hobart. With our 20 years experience in the industry we have also provided our playground services on an international level. 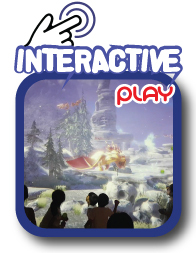 Wanting to start an indoor play centre using our quality indoor play equipment. Then we have all the answers you need right here. 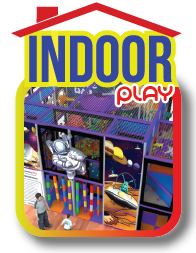 Ready to start looking at our indoor playgrounds section and design ideas? We have hundreds of concepts to suit any size and budgets. Assuming you expect high quality & long lasting materials. 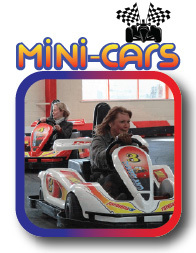 Then our indoor playground specifications will ensure you are buying the best materials that last! 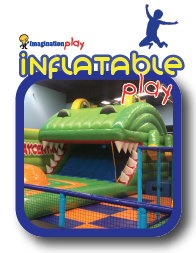 Inflatable jumping castles, massive indoor slides and custom built inflatable’s are a must have product to ensure your play centre is the best! Please note: As of April 2013 we now have Australian Standards (AS3533 4.2 Contained Play Facilities) for all indoor playgrounds. A lot of existing indoor playground equipment will not comply to these standards and if you are an owner of this equipment you may be at risk. Please ensure your equipment is to Australian Standards and if you are looking at new equipment please ensure your next playground supplier complies to these new standards. With these new standards in place we not only meet but exceed these new standards. The new Australian Standards takes into consideration the thickness of the steel pipe frame for load bearing factors along with the strict outdoor standards of soft fall based on the level of the fall height. Also the design and shape of every single component on the indoor playgrounds must have zero head and finger entrapment’s ensuring safety above all else is met. This is a crucial factor to not only the safety of the children within your business but the safety of your business in itself. 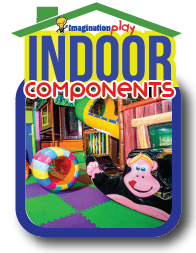 Please ensure your next indoor playground is purchased off a reputable playground company who understands and follows the new Australian Standards. If you are concerned about your existing indoor centre not complying then please visit SAI GLOBAL and download the latest Australian Standards documents. We are excited to release our new super mesh panels to our complete indoor range. 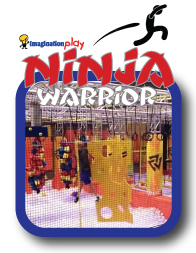 The industry has always used standard netting around the indoor playground frames for decades now but at IPE we have developed a much safer and user friendly way of our playground constructions! Hand stitched netting around the framework has been common practice within the indoor industry but with our new supermesh it takes the tedious labour out of the construction and maintenance. Hand stitching requires a skilled operator to hand stitch the netting around every part of the entire equipment framework. There has always been concerns within the industry of the stitching coming loose and creating either a head entrapment or worse a child falling out of the top level of the equipment. The super mesh panel system is simply a heavy duty frame with strong netting permanently fixed inside the frame to be fixed on each bay of the structure. This eliminates any stitching coming loose, eliminates the need of the professional indoor stitcher and eliminates the need of these professionals to carry out maintenance works for lengthily periods of time. If a panel is damaged and needs replacing you simply unbolt the super mesh panel and re-bolt on a new panel. Please consider the above when you next purchase indoor playground equipment. A lot of customers do not realize the ongoing maintenance required and with our new supermesh panels will save thousands over the years of your business! For any outdoor playground equipment customers please visit our friends at Imagination Play to see there complete range of equipment to suit schools, councils and commercial businesses.